Core Developments is coming with its new entrancing project by the name of Alcamar. 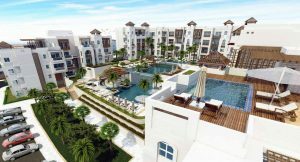 The project is situated on the northern headland of Sahl Hasheesh and has a prime location that makes it the center of attraction. It’s only a few minutes drive from Hurghada International Airport, Hurghada Marina, El Gouna, Makadi Bay and Soma Bay. 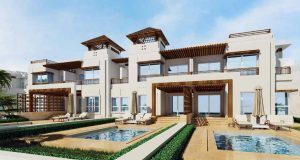 Alcamar introduces a myriad of extravagant apartments, penthouses and townhouses that are designed with a modern arabesque flair that satisfies every taste and desire. It is suitable for year round use as the beauty and luxury it offers never ends. 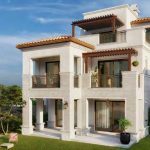 The entire compound is built 30 meters above sea level, thus, providing all homes with impeccable views of the mesmerizing sea as well as the lush green golf course. Alcamar Sahl Hasheesh features a variety of facilities to ensure the ultimate satisfaction of its residents including: a gym, a spa, kids facilities and a clubhouse with a vast landscape of sparkling pools and whimsical palm trees. Unit Types: Townhouses, Penthouses and Apartments.